Castaneda sharing one of her songs with the newspaper staff. Many people have different passions, whether sports, acting, art, and so on, yet only a few get to do what they love for other people to enjoy. For senior Stephanie Castaneda, that door has been opened. Her passion gives her a lot to do, like practice to polish up her skills, write songs amongst other things and all of this takes up quite some time yet in the end it has its rewards. And recently, to her surprise, doing what she loves is a strong possibility of the future. While in Dallas visiting her family, Castaneda was invited to perform downtown. After the show, a representative of Rebel Knight Music, Misty Boldish, an all-media artist from Dallas, offered her the chance to record her own album. Most people would jump straight into the offer, and so did she, but as a serious musician she knows that it is a big responsibility and that if she wants to be successful, she needed to get everything together. Though her recording was postponed to some time in the future this young artist has not been slacking. For Castaneda, this offering was a dream come true. 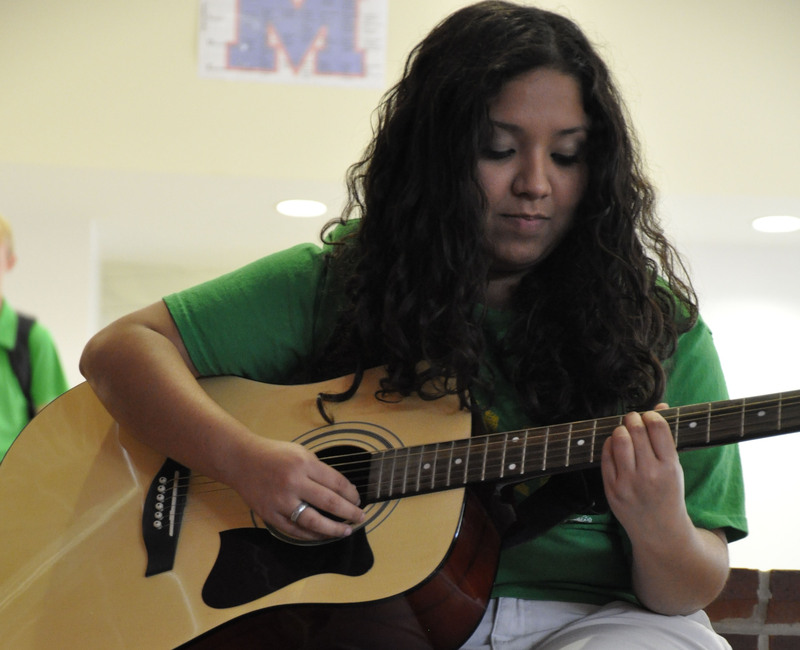 “Guitar has been my passion since I was eleven,” Castaneda said. Castaneda had preformed at various venues before receiving the opportunity to make her own record. These include Hot Topic at the Pearland Town Center, weddings, and at an art show in downtown Houston during this past summer. She has taught guitar for four years, placed in UIL Music Interpretation for two years in a row, and even composed music for the school’s fall show last school year. At a young age she knew music was her destiny and that it would change her life. The time she’s dedicated to writing music is time she spends on herself. “My songs are about things I’m too afraid of to say in real life; songs about love, anger, hope. My songs make me brave,” Castaneda said.